Protein tyrosine phosphatase 1B (PTP1B) inhibits insulin signaling, interfering with its control of glucose homeostasis and metabolism and protects against atherosclerotic plaque formation in the LDLR-/- mouse model of atherosclerosis. 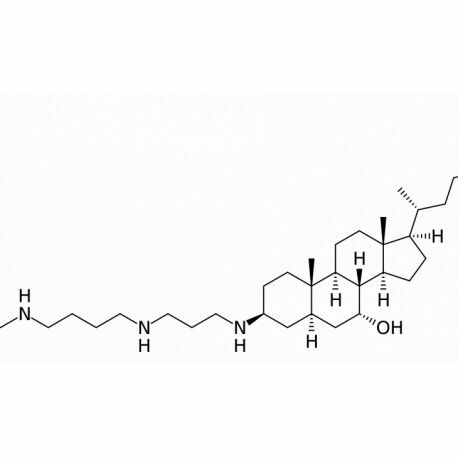 Analogue of Trodusquemine with near equal efficacy and potency. Biochem Biophys Res Commun. 2015 Feb 27;458(1):21-7. doi: 10.1016/j.bbrc.2015.01.040. Epub 2015 Jan 24. Qin Z1, Pandey NR1, Zhou X1, Stewart CA2, Hari A1, Huang H1, Stewart AF3, Brunel JM4, Chen HH5. Protein tyrosine phosphatase 1B (PTP1B) inhibits insulin signaling, interfering with its control of glucose homeostasis and metabolism. PTP1B activity is elevated in obesity and type 2 diabetes and is a major cause of insulin resistance. Trodusquemine (MSI-1436) is a "first-in-class" highly selective inhibitor of PTP1B that can cross the blood-brain barrier to suppress feeding and promote insulin sensitivity and glycemic control. 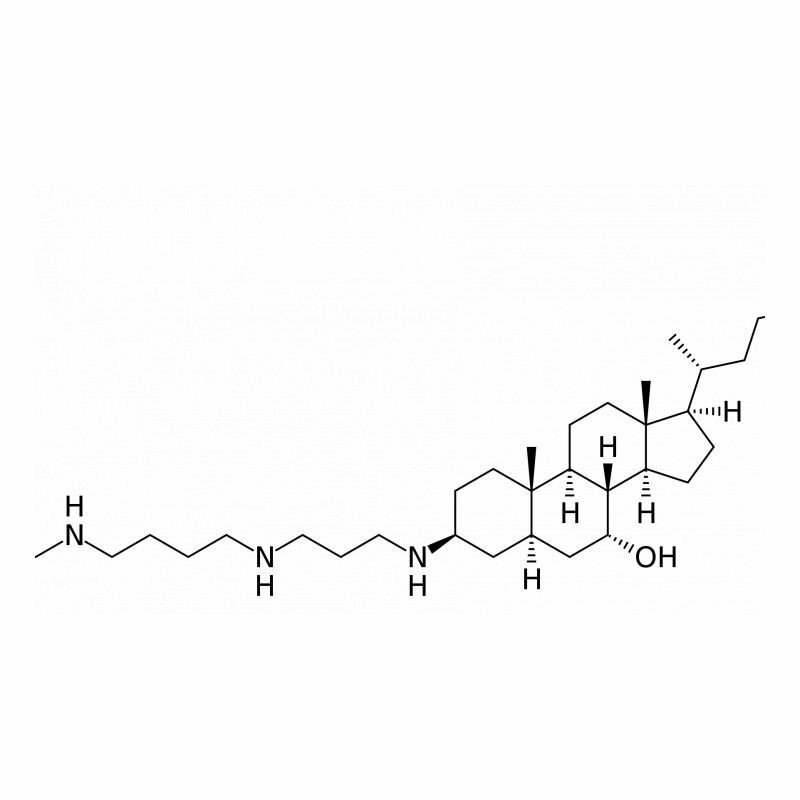 Trodusquemine is a naturally occurring cholestane that can be purified from the liver of the dogfish shark, Squalus acanthias, but it can also be manufactured synthetically by a fairly laborious process that requires several weeks. Here, we tested a novel easily and rapidly (2 days) synthesized polyaminosteroid derivative (Claramine) containing a spermino group similar to Trodusquemine for its ability to inhibit PTP1B. Like Trodusquemine, Claramine displayed selective inhibition of PTP1B but not its closest related phosphatase TC-PTP. In cultured neuronal cells, Claramine and Trodusquemine both activated key components of insulin signaling, with increased phosphorylation of insulin receptor-β (IRβ), Akt and GSK3β. Intraperitoneal administration of Claramine or Trodusquemine effectively restored glycemic control in diabetic mice as determined by glucose and insulin tolerance tests. A single intraperitoneal dose of Claramine, like an equivalent dose of Trodusquemine, suppressed feeding and caused weight loss without increasing energy expenditure. In summary, Claramine is an alternative more easily manufactured compound for the treatment of type II diabetes.